During the 36 1/2 week of pregnancy Blake's mother developed preeclampsia. She was immediately admitted and induced by pitocin drip. After six hours, it was decided that labor was not progressing and the doctor broke the water. After ten hours more, a total of 16 1/2 hours of labor, mother and Blake were going into distress. Mother had a fever and was seeing spots and her blood pressure reached 200/120 and Blake's was falling. Due to the intense fear of losing the baby and his mother having a stroke, the doctor decided to do an emergency c-section. As soon as Blake was born his mother could only glance at him for a moment as they whisked him away to the NICU, the pediatrician saying, "I think he is sick." Blake spent two weeks in the NICU with an IV of ampicillan. His mother was able to hold baby Blake after two days of herself recovering. He was such a big baby compared to the preemies in the room. Blake was 3 1/12 weeks early and weighed 7 lbs., 12 oz. The doctors said he was seriously ill with Beta Strep and most babies don't survive. Being that he received the antibiotics quickly and that he was a healthy-sized baby may have helped his chances. 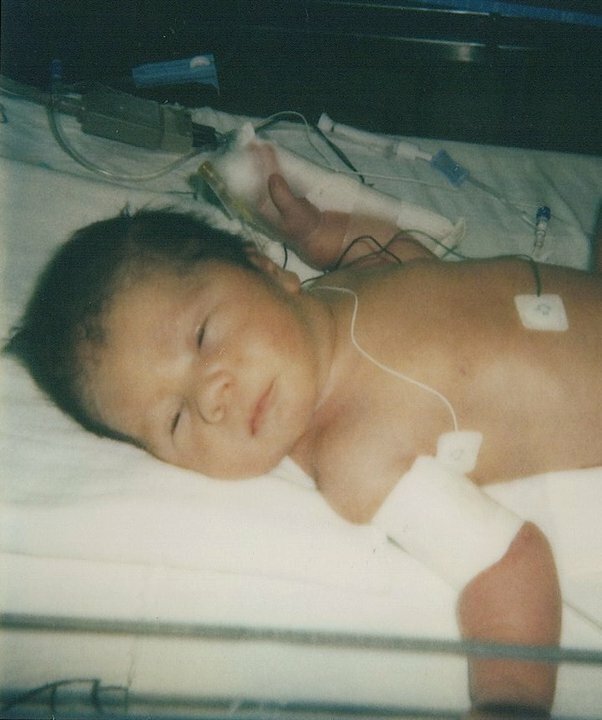 During Blake's stay in the NICU he stopped breathing for seven seconds. He was then put on a bronchodilator. When he was finally released to go home, Blake had to continue on the bronchodilator medication. We know there are so many babies that don't make it. The nurse that cared for Blake had lost her baby to Beta Strep. Blake's mother had tested negative to it. It was a complete shock that this could happen. We know Blake is one of the lucky ones who survived, but feel so sad for all the families that lost their babies. Blake is all grown up now, with dreams of becoming a doctor. I have told him his story and how very lucky we are to have him. Jennifer tells expectant mothers their story.